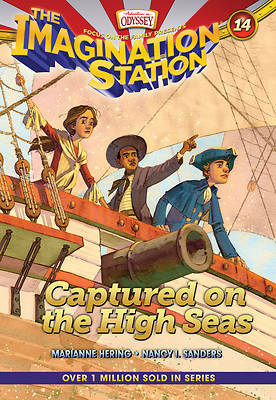 British warships battle with American privateers in this high sea adventure. Cousins Patrick and Beth have landed on the "Royal Louis" in the middle of the Revolutionary War. Cannonballs fly and swords slash. They're captured! Now they face even more dangers. Will their new friend James Forten be sold by the British into the West Indies slave trade? Or will they all be sentenced to the overcrowded prison ship floating near shore where scores of prisoners die from filth and disease? Patrick and Beth help plan a daring escape as they witness firsthand the deeds of brave heroes who fought to make America the land of the free.